Welcome to edition #26 of our news series, where we share with you the latest resources we’ve found on social skills, making friends, and more. In this edition, we’ll find out what women on Craigslist are REALLY looking for, and dive into new information that the “love” hormone may also be key to social interaction. Don’t forget to subscribe to the newsletter so you don’t miss any future editions! Can You Find Platonic Friends on Craigslist? In a world where there’s an app for everything, why are women having such a hard time finding platonic friends and potential BFFs? There are an infinite number of dating apps for tech-savvy women on the go, but that’s not the case for meeting like-minded friends online. Many women are turning to a new “platonic” subsection of the Craigslist personals. While you can target specific interests on sites such as Meetup.com, this article points out that Craigslist receives more than 50 billion views per month. This significantly increases their chances of meeting some interesting potential friends. For women willing to step outside their comfort zone, the site is definitely an adventurous way to open doors to new friendship possibilities. Women and men are trying to meet platonic friends through Craigslist. I’ve been seeing this for quite some time now. It seems that people are getting so helpless that they get on Craigslist and just say that they want to meet new people. This was not always the case. Social media has pushed many people in a cocooning lifestyle. Socializing online and still feeling lonely because they confuse that with real socializing. A more frequent mobility (changing cities and careers) also contributes to this. When people go online and outright say that they need a friend, you know things have changed. This is the time for you to step up and take action. Realize that you’re not the only one who’s planning friends and feel perfectly comfortable doing something about it. But you don’t have to be confused on how to go about it, this is why you can give my training a try and have a real game plan to meet enough people, befriend those you like most, and have a social life. Oxytocin is known as the “love drug” and is associated with intimate bonds between lovers and family members. But how does it affect our ability to make and keep friends? A recent study now links the hormone to positive social interactions. 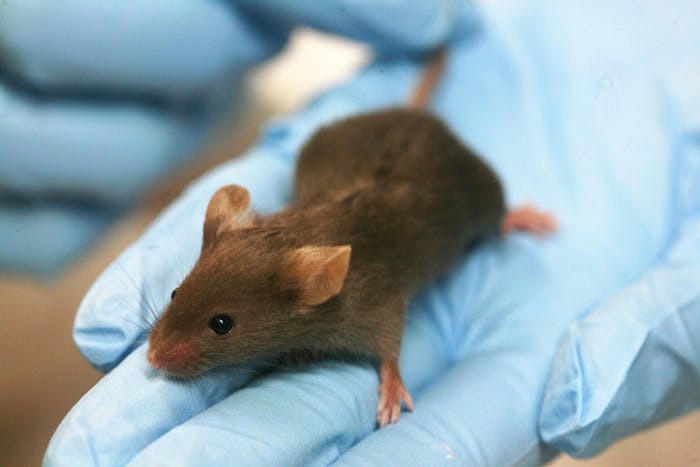 This Inverse.com article demonstrates how introducing oxytocin into the brains of male mice increased their social interactions with other mice. This promising research could help individuals in the future that struggle with social skills. Oxytocin therapy may eventually be able to promote warmth and empathy toward others, improving their overall quality of life. According to Stanford University scientists, After a good social interaction, oxytocin is released in the VTA area of the brain, the reward-area which makes us feel good. Social interactions and feeling connected in general, also has the effect of making good feelings even better, and making bad feelings a bit more bearable. If you experience one of those “bump in the road” moments of life, the effect is quickly gone if you spend some time with friends. Lonely people tend to feel it much more, as those “bad moments” in life kind of compound,… The bad feelings are not flushed away. I always that loneliness is bad for your health, and that you need to overcome it with good old socializing. We keep hearing about studies proving that spending time with friends is good for us. And we all need to do more of that. Once you have a few casual friends you can meet, you start to be more selective and focus of quality of friendships. But you have to start somewhere. Start with casual friends before you can find those friends you want to keep for the lobg haul. Best of luck! And remember that you can start improving your social life right now by arming yourself with the necessary social skills that are proven to work.